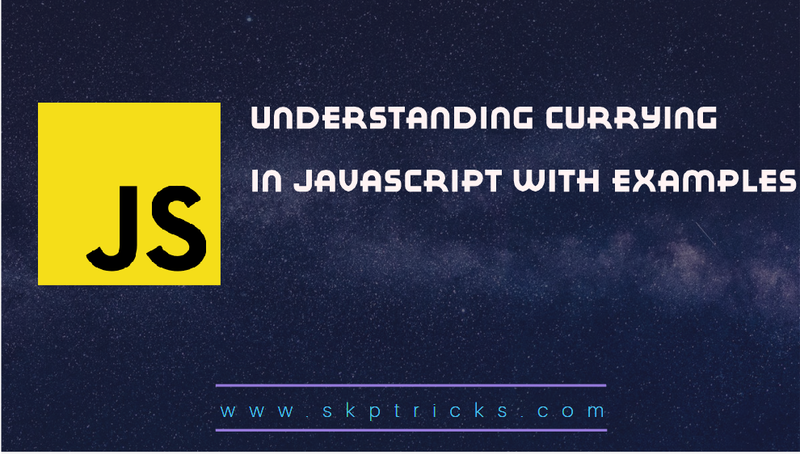 Currying is the process of breaking down a function into a series of functions that each take a single argument. Let’s look at a simple add function. It accepts three operands as arguments, and returns the sum of all three as the result. Lets see the currying version of add function, that behaves differently. It accepts one argument and returns one function. The returned function also accepts one argument and also returns another function that also accepts one argument and so on ... This cycle continues until the returned function accepts the last argument. The last one in the chain, finally returns the sum result. In this example we are using a wrapper function in place of the real function, we can create another function that generates this wrapper function. We’ll call this new function curry — a higher order function that returns a series of nested accumulator functions that invoke the callback function fn in the end. 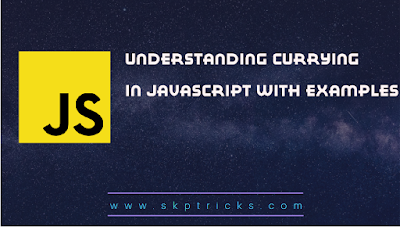 Lets see the wrapper version of currying function.